It seems every summer, I somehow find myself in the Okanagan wine tasting. I mean, it just kind of happens…you know? Hehe. Actually, we have family in the Kootenays and Oliver is a nice midway point, so we tend to stop, grab some lunch and do some wine tasting. In the past, since we’re bombing through Oliver (we typically have another 4-5 hours to drive after Oliver to get to our destination), we don’t take a lot of time to explore the smaller wineries that are off the beaten track. Tinhorn Creek (great price point and great restaurant), Silver Sage (fantastic dessert wines) and Black Hills (Nota Bene and Alibi, two of my fav wines!!) are always a staple but lately we’ve been looking to try something different. So this summer we took a trip JUST to do wine tasting so we could take our time, without the pressures of having to ‘get somewhere’. We discovered some great wineries along the way but Liquidity has to be one of my favourites. We have never heard of them and chances are, you may not have either. Why? Their wine are only in a select handful of stores in BC. Like, count on one hand number of stores. Liquidity is actually outside Oliver, they are located in Okanagan Falls. 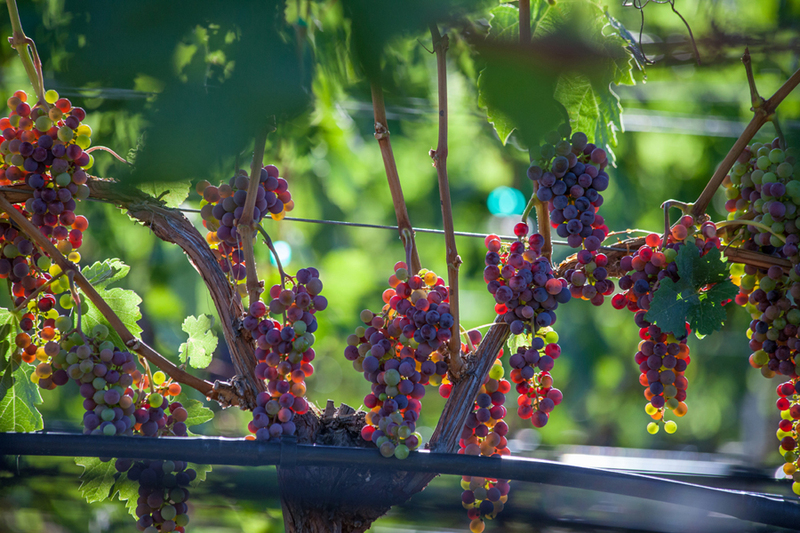 After wine tasting at a few other wineries, we asked one of the Sommeliers where THEY would visit? She recommended Liquidity. Recommended by a wine expert? DONE! When we arrived, we were immediately impressed by the art work and the gorgeous land scaping. 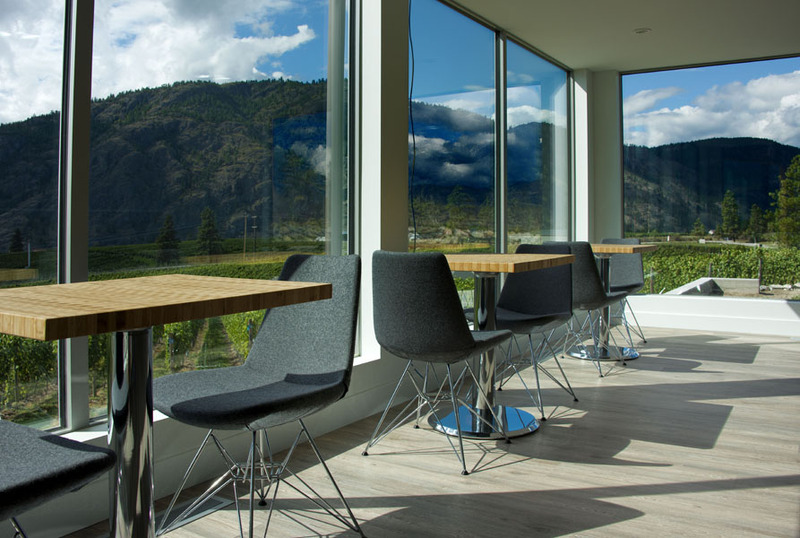 Liquidity is a newer winery and in pairing with their clean and crisp wines, the decor at this winery is also modern and clean. Lots of whites, fantastic use of organic materials and HUGE floor to ceiling windows. As always in the Okanagan they also have a beautiful view of the winery. While we were there, we tasted pretty much all their wines (sadly they were sold out of their Rose). The stand outs were the 2013 Riesling and the 2013 White Blend. The Riesling was my husband’s favourite at Liquidity and one of his top picks for the trip and the White Blend was my favourite for the ENTIRE trip. Blasted Church‘s brand new Gewürztraminer is a close second. The 2013 White Blend is a blend of 64% Chardonnay, 25% Viognier and 11% Pinot Gris. It is a medium-bodied wine with noticeable blood orange, ripe grapefruit and peach flavors. The funny thing is according to the staff there, none of the three wines have any blood orange notes in it, but somehow combing the three together, the chemical reaction resulted in the blood orange flavour. Cool huh? I would’ve have paid more attention to Chemistry in high school if I knew it meant deliciousness! If I only… anyways back to the wine! The White Blend is a crisp wine with a great tang and long finish. I loved it. You can pair this with many different types of dishes or just have it on it’s own. Just a pure delight. The 2013 Riesling is clean, crisp and citrusy. It felt very fitting to be tasting this wine, while at the winery. You can also taste some apple notes in it and it makes for a wonderful summer wine. I also like a drier wine and this Riesling certainly fits the bill. I highly recommend you visiting Liquidity if you are doing a wine tour. They are a bit out of the way from the large wineries but definitely worth the visit. The staff here are some of the most knowledgeable we have found in the area, and while we didn’t try their food, I have heard it is amazing. You can follow Liquidity on Twitter @liquiditywines or like them on Facebook.